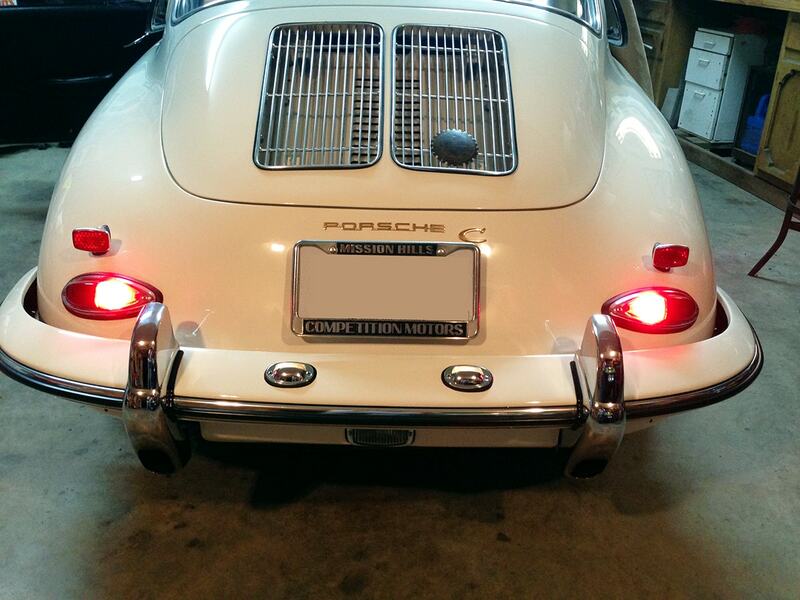 The Model 356 LED Taillight modules are available for the Porsche 356 ‘teardrop’ taillights in both 6-volt and 12-volt versions. 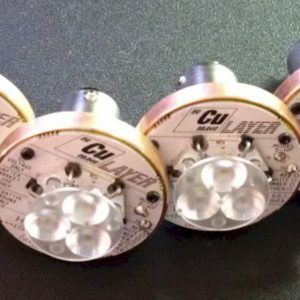 The Model 356 taillights are sold as a set of two LED circuit boards that install easily behind your existing taillight lenses without modifying your OEM Porsche taillight housings. What makes the Model 356 LED Taillights so effective is that we use seventy-two high-brightness LEDs in each set. Unlike incandescent lamps, LEDs only emit light in one direction. 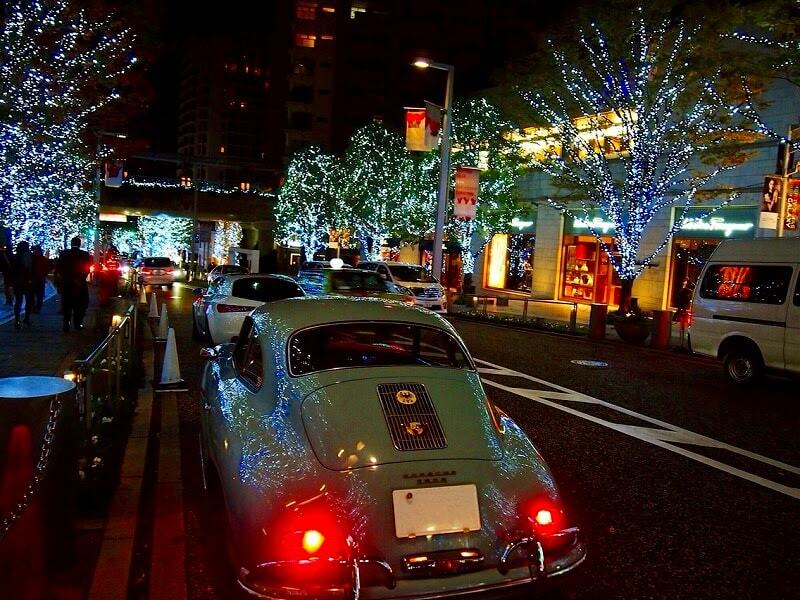 Most commercial LEDs are generic bulb replacements and as such most of their LEDs point in directions that do little good for the Porsche 356. To make our high brightness LEDs more effective we point all 72 LEDs at the drivers behind you. 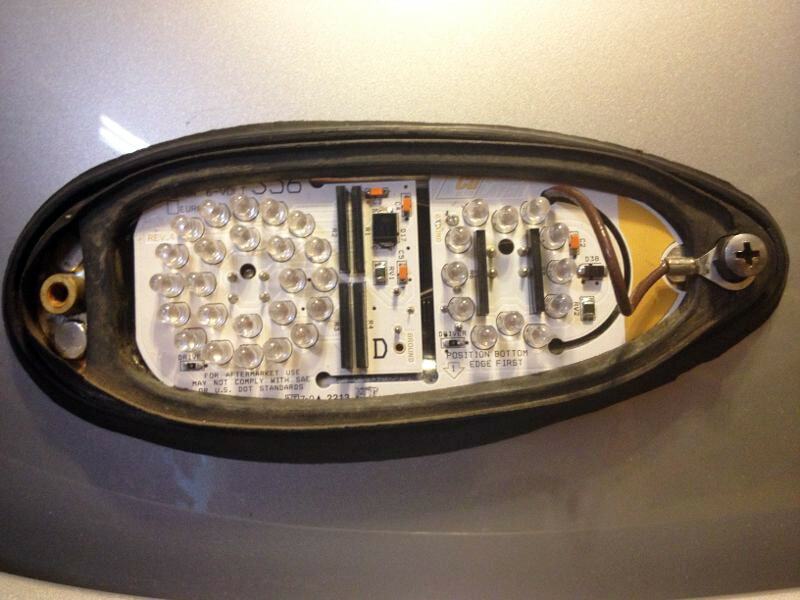 The Model 356 is sold as a set of two (driver’s and passenger’s side) LED taillight modules. The LED taillight modules use your existing taillight lenses, bezels and taillight housings. 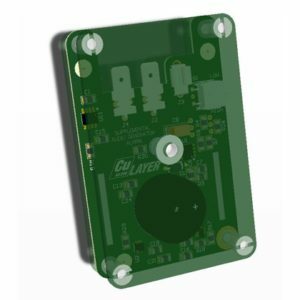 Voltage regulated to provide optimal LED intensity regardless of fluctuations in your system voltage. 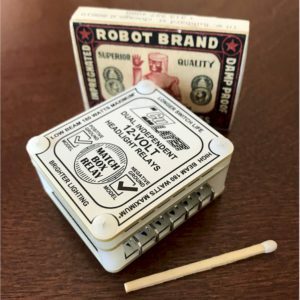 6-volt models have independently biased LEDs, meaning no “Christmas tree light” failures where one failure knocks out a string of LEDs. The Model 356 LED tail lights are not always compatible with European 356s. 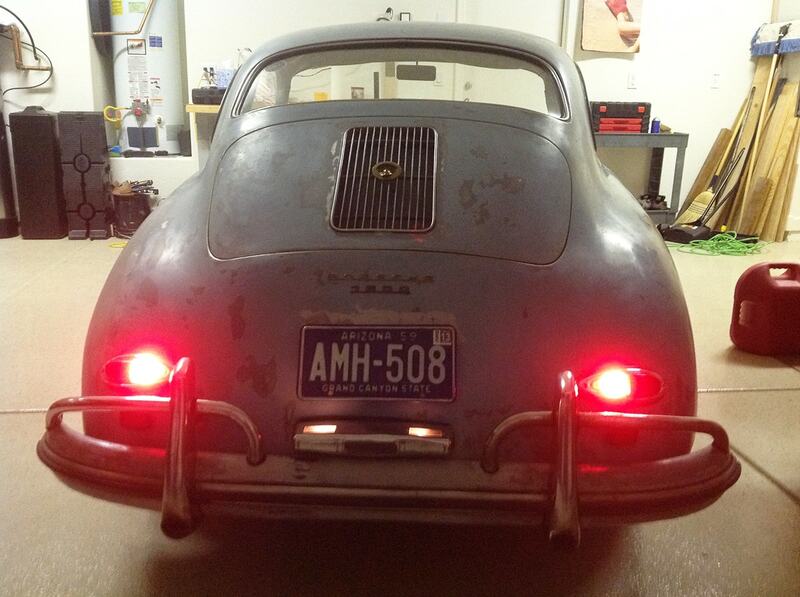 In the United States all 356 taillight housings have two ‘single-filament’ sockets. One of the single-filament bulbs holds the brake lamp and the other holds a nighttime running lamp. The turn-signal function is implemented by blinking the brake light on the side of the impending turn regardless of whether the brakes are applied or not. In some European countries Porsche was required to use a light source for the turn signal indicator that was completely independent of the brake lamp. 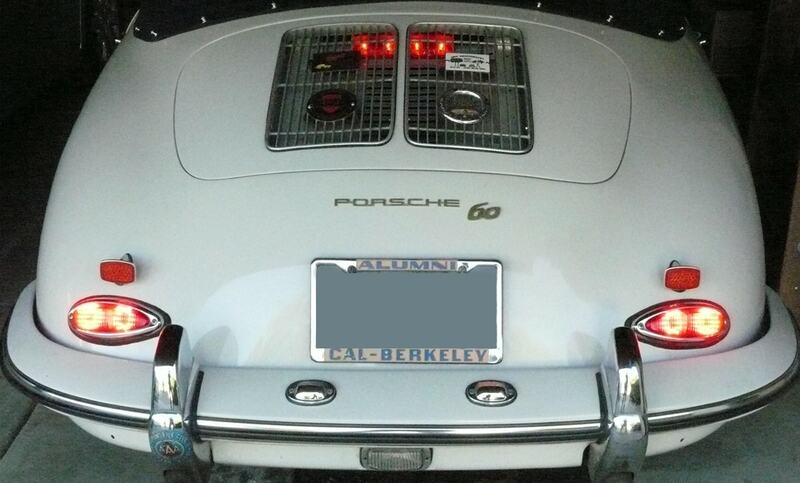 To accomplish this within the two-compartment teardrop taillight housing Porsche had to place a “dual-filament” socket and light bulb in one side of each taillight. The single filament light bulb and the dual-filament light bulb combined to provide three filaments which equates to three light sources. One light source for the brake light, one for the running light and a third for the turn signal. Usually but not always it’s in the smaller of the two lighting compartments that holds the dual filament socket. 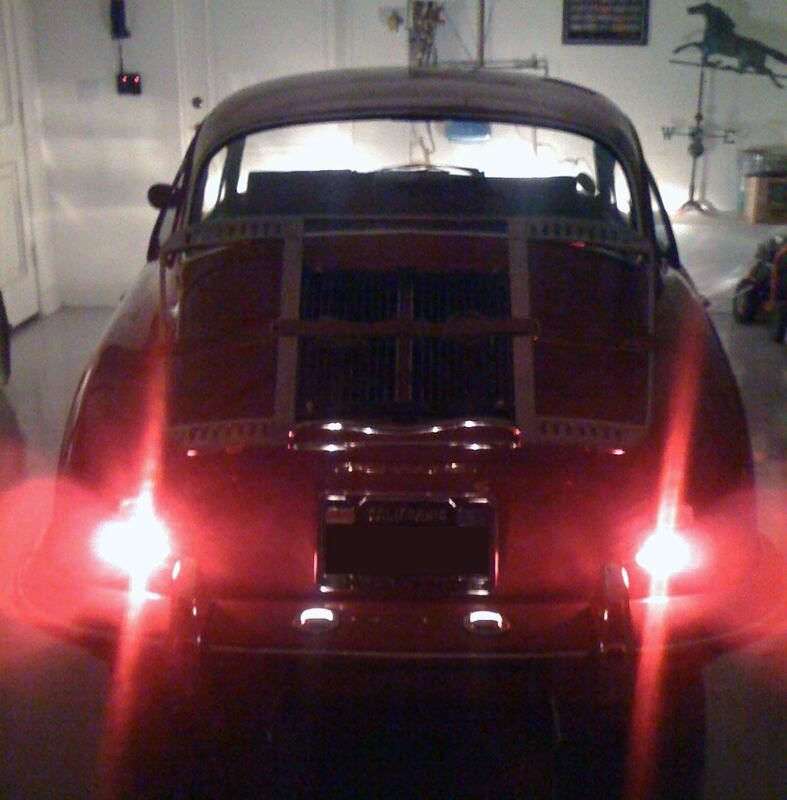 The Model 356 LED taillights are not compatible with the Porsche 356 taillights that utilize a dual-filament bulb socket. You can take off a taillight lens and remove each bulb. If each bulb has only a single contact ‘bump’ centered on the bottom you have single filament bulbs. If one of the bulbs has two contact ‘bumps’ on the bottom you have a dual filament socket. The other way to check is to have someone step on the brake pedal while you watch the rear end of the car. With the brake applied and the brake lights lit, put the turn signal on. If one of the brake lights flashes on and off you have single filament bulbs. If however both brake lights stay lit constantly while another light source flashes to indicate an upcoming turn you have dual filament bulbs.